Best Wine Vacations in the U.S.
Well there is no need to look any further or go searching far and wide to quench your thirst on classic vintages. The United States has plenty of American Viticulture Areas (AVAs) worthy of discovery. So leave your passports, but remember to bring your pallets to smell and savor as you blaze a trail into some of the U.S.’ most iconic wine-treasures nestled right in our own backyard. Painted with lush vineyards dripping with succulent grapes, rolling hills, and panoramic views matched with clear blue skies only begins to sum up the extravagant experiences of Napa Valley. The Cliff Lede Vineyards are one of the wine region’s newest gems that produce Sauvignon Blanc and Cabernet Sauvignon. The vineyard’s wines are known to rock because each of its blocks are named are named after legendary rock hits. The winery also has a partnership with iTunes, which allows its guests and visitors of the website to download songs while quenching their thirst on its delicious vintages. Guests are also cordially invited to its Platinum Playlists tasting where guests can rock in harmony to sampling the winery’s favorite specialties. Texas Hill County wineries showcase a side of the Lone Star State that is rarely seen. Encompassing legendary cities like San Antonio and Austin, the region’s verdant wineries spellbind enthusiasts of the brew with a unique style and charisma that captures their smells, sights and taste buds the Texan way. Overlooking Lake Travis and only a few minutes from the city of Austin, Stone House Vineyard offers a unique style dressed with luscious rows bursting with succulent grapes. This vineyard produces a number of top-notch wines and lures visitors with its food and wine pairing events. Dry summers infused by mild winters make the Puget Sound’s 69 acres of breathtaking vineyards the perfect wine destination. Come explore the luscious flavors of the region’s vinifera grapes, which have suitably produced some of the world’s most luxurious brands including Madeleine Angevine and Siegerebbe, in addition to Pinot Gris and Pinot Noir. In the midst of dazzling mountainsides and a glacier sits Glacier Peak Vineyard. This remarkable stretch of wine heaven offers tastings of its bottled specialties, fascinating views, and plenty of experience to appease the taste bud of any wine lover. Willamette Valley is blessed with dozens of pristine wineries dripping in the sweet-smelling vintages of Pinot Gris, Pinot Blanc, Chardonnay, Riesling, and Merlot, which causes this region to rival that of the prestigious Burgundy regions of France. A popular wine destination nestled amid bed and breakfasts, exquisite restaurants, and within the vicinity of Portland’s charm, the valley keeps wine connoisseurs from far and wide coming back for more. Since 1986, Airlie Winery has been very serious about its whites and reds. This dog-friendly winery provides the perfect backdrop for picnicking by the pond as your pallets are tested with luxurious vintages. Airlie Winery also stands out through giving back local food banks through its tasting fees. When you think of Colorado, the first thought that comes to mind is gliding through powdery slopes or hiking along jagged cliffs. Although it is an adventure seeker’s paradise, it is also a wine lover’s dream. In the heart of mountainous terrain sits the United States’ highest elevation of vineyards with more than 20 years of experience at creating some of the world’s most iconic vintages such as Riesling, Chardonnay, Cabernet sauvignon and much more. Black Forest Meadery is a winery buried quietly within Colorado’s Black Forest. From its gorgeous setting to the fruity aromas coming out of the winery’s specially-made sweet honey wine, you will be salivating for more while basking in the beauty of this highly-elevated wine oasis. Surrounded by the four lakes of Cayuga, Seneca, Canandaigua, and Keuka and as a producer of over 90 percent of New York’s wine, Finger Lakes Wine Country brings tranquility and history to its green acres. In this wine region you can create your own memories by designing an itinerary that best suits your mood, from gourmet restaurants and organic cheese tours to aquatic adventures and of course timeless tastes. If you don’t remember Montezuma Winery's unique name, you will remember its charm and attention to detail when sampling its seemingly endless collection of luxurious spirits. Whether you prefer dry or sweet, savor the flavors of its Fat Frog Series or Cranberry Bog along the Cayuga Lake Wine Trail, one of the United States’ most legendary trails of award winning vintages. Did you know that Virginia is the original location for American winemaking? It all began with Thomas Jefferson who imagined his Monticello home as a wine haven. Only a mere 200 years later, his dream transformed into a reality. Perched on the Monticello Mountain in Charlottesville, VA, the Monticello Wine Trail not only serves as the 5th producer of wine in the U.S. but as an open history book where wine tourists can sip, tour and bask in an American dream. A visit along the Monticello Wine Trail is not complete without diverting your noses towards the rich grapes of Prince Michael Vineyards & Winery. Home to the famed Prince, this wine getaway comes complete with breathtaking views of the Blue ridge Mountains, a museum, library tasting, banquet halls, a secret cellar as well as a tasting rooms all in the heart of rolling hills of Virginia’s wine district. Dubbed the “cherry capital of the world," Traverse City has made a reputable stance in the wine industry for its fruity and award-winning flavorful antiques. Here, connoisseurs appease their thirsts on classics from Gewürztraminer and Merlot to Cabernet Franc and Pinot Noir. One of Traverse City’s finest possessions is Black Star Farms Old Mission. Enjoy an intimate sip by the cozy fireplace, head to the luxurious tasting rooms to run your taste buds through an array of delicate flavors, and spend your nights dreaming amid rolling hills in its inn- which make this destination the ultimate package for grape lovers. So grand, this winery sits on three states (northeastern Pennsylvania, far-western New York and Ohio). Snuggled along the grape producing vines of the Lake Erie Wine Country sits Mazza Vineyards, one of Pennsylvania’s hidden treasures. Here, visitors learn about the winemaking process from grape to bottle while partaking in any of its cultural events by smelling, touching and tasting their rich textures. A visit to this winery will be an unforgettable experience as its knowledgeable staff takes pleasure in testing your taste buds with their sweet and dry mixtures of reds and whites. Along with its nearby counterpart Napa Valley, Somona Country Wine Country is a popular destination among wine connoisseurs who need to unwind with a smooth glass in hand. Boasting a décor of over 300 wineries, wine-tourists migrate to the region to sip, smell and smile. Especially in Buena Vista Winery, California’s oldest premium winery where winemaking is not just a style but an homage to American history. Its wines are rich with history, American heritage and style that classify its wines as some of the most prestigious in this wine region. 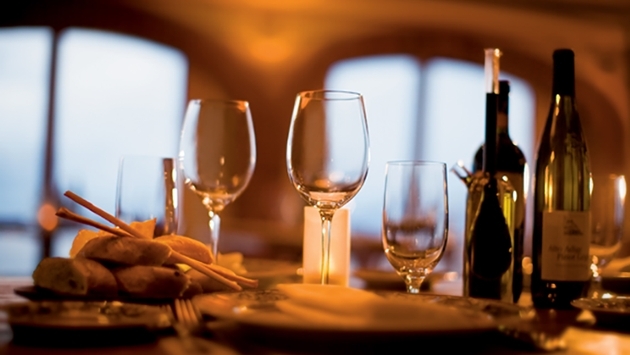 Here, wine connoisseurs are invited to sip and explore the history of their smooth delicacies by the glass or bottle.